This entry was posted in Bishop Pates, Catholic Church, Culture Wars, Homosexuality and tagged debate, Gay rights, religious liberty. Bookmark the permalink. My son is a senior at Dowling and he knew that this man was gay a couple of weeks ago because other students knew from seeing him and his partner at the fitness center. I do stand with Church Teachings, not necessarily Dowling. They messed up big time. First they should have checked his credentials before they hired him as a sub and asst. track coach. They should have never verbally hired him and announce it on the PA as my son said they did. I pray that this ends quickly and we move on, however social media will continue to be relentless in saying terrible things about our church and faith when they should be seeking Truth. We must press on and hold fast to our faith. We are an Easter People! NFadeaconswife: Susan, I know that things are not perfect at Dowling, but I have seen it become more Catholic the last several years. When we first moved here 17 years ago, I was appalled at the lack of Catholic identity. Judging from what I here from many parents–who wouldn’t have sent their children there just a few years ago–the school is becoming much more (faithfully) Catholic. As for the teacher in question, I don’t know if background checks that include social media are allowable or feasible for non contract personnel. If he was acting in a way–at the fitness center for example–that was verifiably scandalous that would be troubling. There are many questions. Did the students witness behavior that left no doubt that the two men were not chaste? Did they bring it to the attention of the school administration? Or was it just gossip. The school, perhaps, should have handled it better. But I give them a lot of credit–the Bishop too–for not backing down or maintaining radio silence. 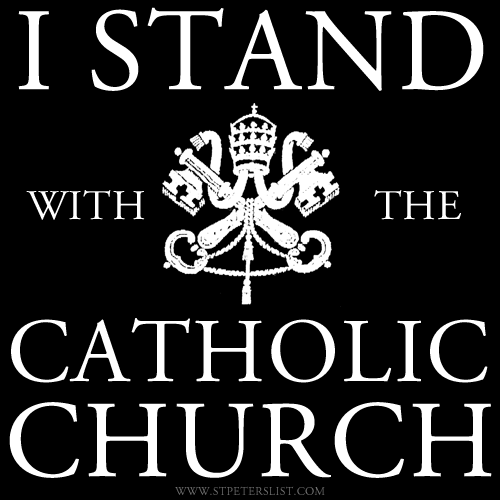 They are standing up, now, for our Catholic faith. The diocese of Lincoln is not handling a similar situation nearly as well. It is possible for a gay person to identify as gay and be employed as a Catholic school teacher. But he would have to be affirming a celibate lifestyle. Too many Christians have been hostile to gay Christians who are striving to be faithful disciples of Christ. We are indeed a Easter people. Jesus makes all things new.